Malawi Electoral Commission (MEC) has a task to ensure its credibility is not damaged by taking action to Senior Chief Mwalweni of Rumphi who defied electoral laws at the weekend when he endorses ruling Democrtaic Progressive Party (DPP) for the May 21 elections. Mwalweni said during a political rally held by Minister of Transport and Public Works Jappie Mhango and DPP director of election Ben Phiri at Mphitapasi in Rumphi that people should vote for DPP candidates in the coming elections. The chief who was chanting DPP slogans also said people should re-elect incumbent President Peter Mutharika who is already bringing development. “We need to thank Professor Peter Mutharika for what he has done by voting for him,” he said. Traditional Authority (T/A) Mwalweni conduct is in total defiance of the warning by the MEC chairperson Jane Aansah and chief elections officer Sam Alfandika that Chiefs are not allowed to be partisan and should, therefore, not affiliate themselves to political parties or candidates with the intention of influencing their subjects’ political choices. Electoral stakeholders expect MEC to discipline Mwalweni to stop such lawlessness. 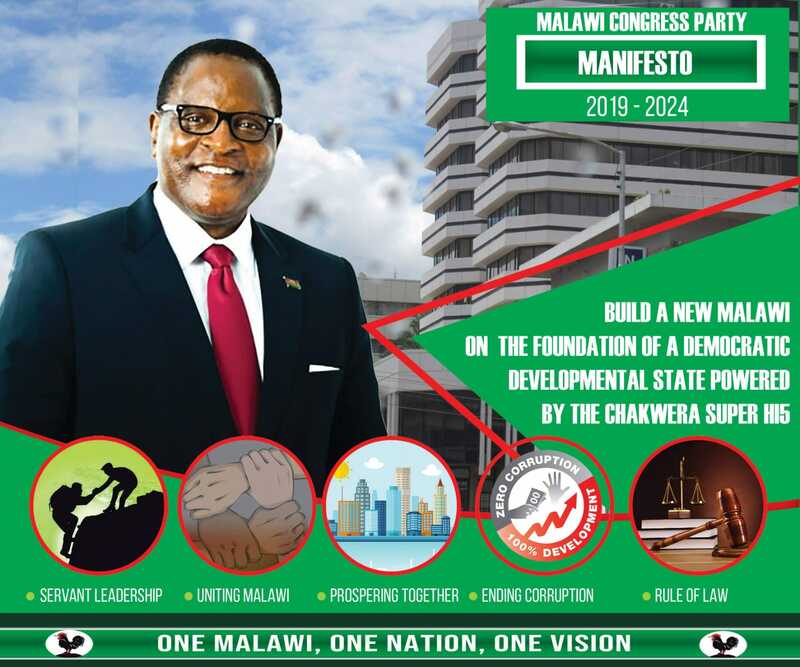 Ansah, a judge of the Malawi Supreme Court of Appeal and a former Attorney General, said last week during the launch of official campaign that the Commission has already received reports that some traditional leaders are endorsing candidates and creating no-go zones for some candidates. She also said Chiefs are not allowed to receive cash, goods or any material with a view to influence people to vote for a particular candidate or party or stop people from voting for candidates of their choice. But MEC chairperson has asked parties that feel aggrieved to follow procedures in the code of conduct and report to the Multiparty Liason Committee (MPLC) which is chaired by the District Commissioners. Mafumu openya awa akudziwa zombie boma lawapangira, simungawatseke pakamwa ai. True has to be told. Mafumu amaona zombie zikuchitika, osati Isi mungotsusa koma simukuona ai. Keep up Senior Chief, afootokozereni anthu chilungamo, you sherperd them. As expected, MEC will be clueless on how to handle this matter. Remember DPP has 5 Commissioners in MEC, they cannot bite the hand that feeds them . The commissioners will bury their ugly faces in the sand and pretend nothing happened. These chiefs are intimidated by the government officials. They are forced to do things against their conscience. It’s all because of poverty. Poverty is the root of all the evil. Poverty drives people into criminal activities. Poverty drives women inti prostitution. Poverty breaks marriages. Poverty takes Uladi Mussa to different parties. Poverty is keeping Ntaba in dpp. Poverty is evil. Nanunso chilichonse intimidation by government. Munthu asanene za kukhosi, asanene chilungamo waopysedwa ndi boma. Inu akukuopyesani osutsa boma. Let the chief help his people to do right thing, osati chifukwa inu milk ndi kanduka ndiye munyoze a mafumu. A Wilson, tamangodyani basi inu muzawatani mafumu world, ndiye kuopsezako kumeneko. Inu mukawakhazike pansi a mfumu, mwakulira kuti inu. Tsono MEC itani ndi a galatiya opusa ndi aneneri onyenga amati mvotereni lazaro aja? Kkkkkkkkkkkkkk kuwaona a Mwalweni wo iiiiii atichimwitsapo iyaaaaa………………. KAPILIKONI mwenecho, utijiwonere wekha pala dazi lafika, 21/5. Lyaninge vyanthontho, ulunji wasuzga. He is a stupid chief. He can not be stupid because he has mind his views known. This is democracy, we differ, but that does not make you stupid, mukuyenera kulandira mwambo a vinjenje, manga mwa dzina Kanu. Mukufunika mupite kudambwe, kapena kuti ba, kundagala mukaphunzire chikhalidwe. Sititukwana mafumu chifukwa tasiyana Nasongole maganizo.